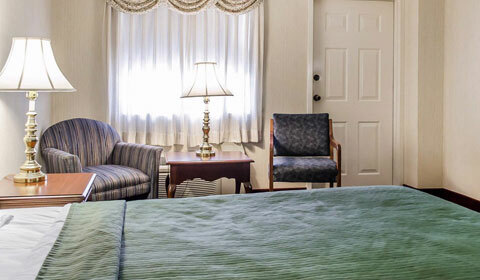 Warm decor, traditional furnishings and modern conveniences in each of our accommodations create an inviting respite where you can unwind and recharge during your getaway to Gettysburg. We accept dogs with no additional pet fee, but do have an entire building dedicated to "no pet" rooms for your convenience. 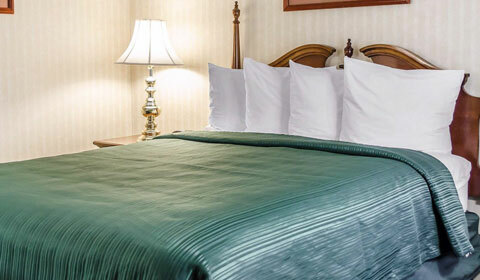 Our hotel rooms and family-sized suites near historic battlefields are the perfect choice for your next trip to the most iconic destination in Pennsylvania. Sink into a plush Serta Perfect Sleeper mattress and wake up to a complimentary breakfast in our Victorian-style cottage. 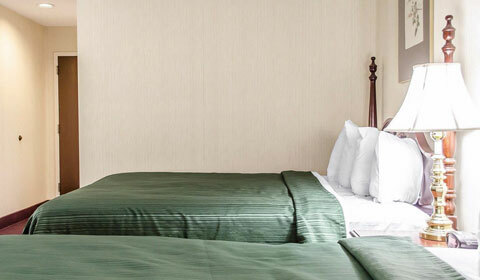 Free Wi-Fi, in-room coffee, and microwave/refrigerator come standard in every room. Spread out in spacious accommodations, including rooms with three double beds that can sleep up to seven people. 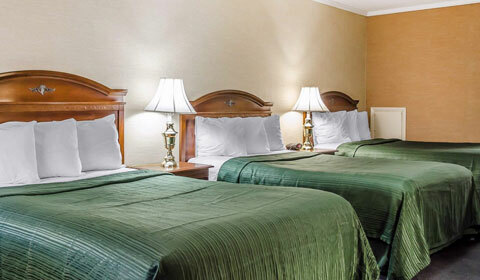 Enjoy a comfortable and relaxing stay near Gettysburg's popular attractions. 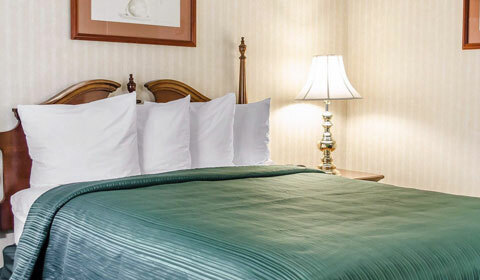 Spread out in this spacious top-floor room, featuring a plush Serta Perfect Sleeper king bed, complimentary Wi-Fi and a balcony overlooking Gettysburg Military Park. 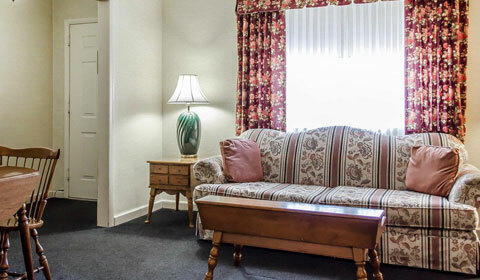 Stay cozy in this inviting room with a queen bed, featuring a refrigerator, microwave, coffee maker and flat-screen television with premium cable programming. 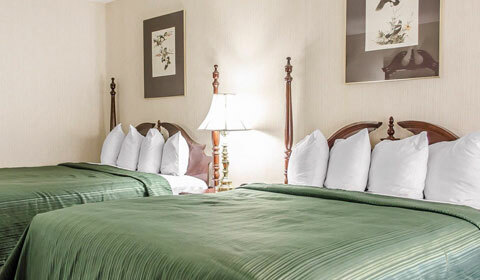 Ideal for vacationing families and groups, this "no pet" room includes two Serta Perfect Sleeper queen beds, free Wi-Fi and plenty of room for up to five guests with an optional rollaway bed. Relax in this pet-friendly room with two double beds, with sleeping space for up to five guests. One of our largest hotel accommodations, this room sleeps up to seven guests with an optional rollaway bed and features dual sinks and vanities, plus free Wi-Fi and a microwave/refrigerator. Unwind in the privacy of your "no pet" room with an en-suite whirlpool bath tub and plush king bed. Enjoy enhanced accessibility in this thoughtfully designed room, appointed with a range of ADA features, a spacious workstation, and lounge seating with views of Gettysburg. Make yourself at home in this two-bedroom suite, featuring a fully-equipped kitchen, living room with a sofa, premium cable TV and a dining area for the ultimate convenience.